Editorial – No-Fly List: what is the government trying to hide? By Monia Mazigh – In January 2016, the International Civil Liberties Monitoring Group (ICLMG) with the great help of Ken Rubin, Canada’s long-time access to information warrior, filed an access to information application about the No-fly list. More specifically, we asked for the number per year of written notifications sent to individuals to inform them they cannot fly. Also, given the media reports about the numerous cases of Canadian kids who were double-screened, checked and always delayed before boarding a plane at Canadian airports, we wanted to inquire about who is included on the no-fly list, especially minors. And finally, we asked about the appeal or redress process. Last week, we received 88 pages of documents. Only 8 pages were unredacted. The rest was a succession of white pages where the information has been withheld from us because of, according to the governement, privacy issues, national security, crime investigations, enforcing the law, and other matters. The documents, mainly memos, rated “Top secret” or sometimes “Secret”, were written by John Davies, the Director General of the National Security Policy Directorate, from the Department of Public Safety and Emergency Preparedness. These memos were addressed to the attention of the Senior Assistant Deputy Minister. They are about Specified Person Advisory Group recommendations. At the end of 88 pages, the memos are signed by another senior bureaucrat, Ratu Banerjee, apparently the acting Director General. The mandate of the Specified Persons Advisory Group (SPAG) is to identify individuals who should be considered for specification and to provide advice to the Minister of Public Safety on which individuals should be specified, i.e. put on the Specified Persons List or the actual “no-fly list”. The chair of the SPAG is the Director General of the National Security Policy Directorate. Other voting members include senior officials from CSIS, CBSA, RCMP and Transport Canada. A senior counsel from the Department of Justice and the Chief of Operations for the Passenger Protect Program from Transport Canada participate in meetings but only in an advisory capacity. What is interesting to know is that one senior official from CSEC may be invited, for an advisory role, when the individuals considered for specification are based wholly or in large measure on signals intelligence information. The SPAG will meet every 30 days or less and it is the Transport Canada who is in charge of transmitting the names of specified individuals to air carriers. In the Aeronautics Act that was relied upon by the Canadian government in 2007 to introduce the Passenger Protect Program, there are no explicit criteria for specification. However, it is unclear to us how the Act has been interpreted to use “reasonable grounds to suspect” as the criteria for the Minister of Public Safety to add names to the list. The memos explain further that “reasonable suspicion must be supported by factual elements that be adduced in evidence” but they do not elaborate on that aspect or at least we didn’t see anything in the documents on that issue. 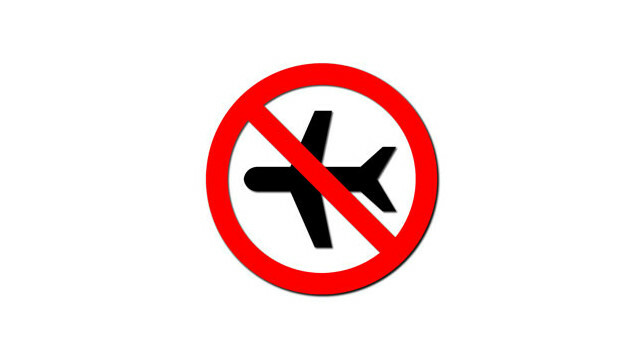 – The permission to travel only if an in-flight officer is on board. So basically, even if we are allowed to board on the plane, it doesn’t mean that our name is not on a list. It can mean that we are permitted to travel because there is an air marshal on board of the plane controlling our mouvements and supposedly assuring the security of the airplane. The documents superficially address the question of de-specification in the following terms: “To ensure that the information about specified individuals remains accurate and up-to-date, and consequently that the grounds for specifying them remain current, at every monthly meeting the Chair of the Advisory Group will ask Members whether they have new information on specified individuals”. Reading from these pages is a sort of a guessing game. A charade with skewed distribution of information, where the government is preventing us from seeing the full picture. Inferring from these pages, we understand that some of the content released to us predated Bill C-51, whereas other pages inform us about the situation of the Passenger Protection Program after the introduction of Bill C-51. The hint resides in the threshold for specification of individuals. With Bill C-51, that threshold was lowered to include those who travel by air for the purpose of committing terrorist acts or joining terrorist groups. Unfortunately, these documents didn’t answer our initial questions: how many Canadians are on the no-fly list? Why kids, like Adam Ahmed, the Hockey fan from Toronto, are still on the list with no possibility so far to remove them? The whole question of redress and appeal remains a total mystery. This entry was posted in News from ICLMG on 2 March 2016 by ICLMG CSILC.